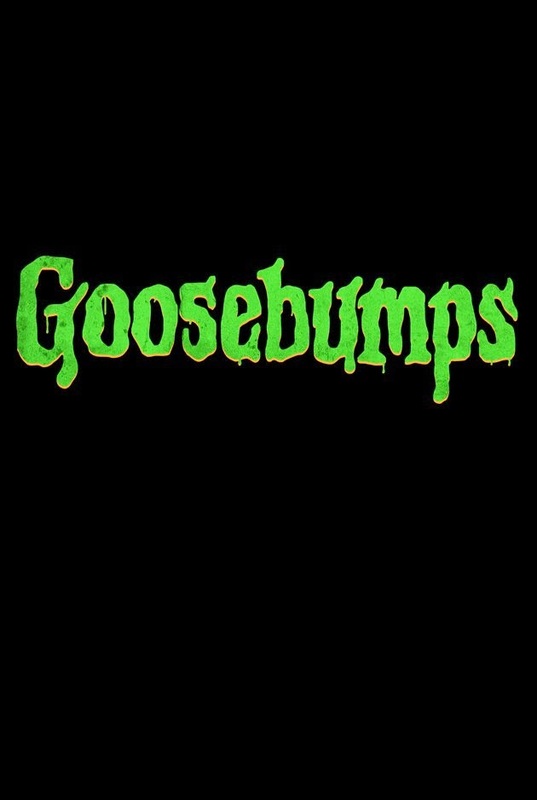 As the Hollywood machine continues to scrape the bottom of the barrel to find new ways to present the same old recycled content, the current victim of choice is Goosebumps, your favorite books as a childhood horror fan which you knew would never work on screen because of their "Choose your own adventure" formatting. It seems Hollywood has chose their own adventure, and it turns out it's the same as it always was. After the success of the British television series Sherlock, and with the American movie series on hold while Guy Ritchie goes back to doing his same old shtick, somebody decided we didn't have enough Sherlock Holmes in our lives. With the great Ian McKellen starring it's hard to be too cynical about this one—until you scan the plot synopsis and learn it's about a retired Holmes returning for one last unsolved case. Just because Liam Neeson can pull off the aging action hero doesn't mean we need to drag down our other heroes to fit the same mold. Whether the original Poltergeist was a big part of your childhood or not, we can all agree that nobody needed the film to be remade. And yet here it is, begging us to love it whether for the first time or again after long years. And some of us will fall for it even though we know the quaint but loveable practical effects of the original will be replaced by soulless computer-generated imitations. Pan is a film I have to admit I am getting a little excited for. With Joe Wright at the helm (director of one of my recent all-time favorites Hanna) and a screenplay which simply uses established characters to tell what will presumably be a new story, I have to hope that maybe it will be the exception that proves the rule (that you need a director with vision to adapt material for the screen—something Wright has extensive experience with, from Pride & Prejudice to Anna Karenina). And yet the movie's being pushed so hard that I have to question myself and wonder if maybe I'm just falling prey to the hype machine. The video game Hitman has been adapted for the screen before—unsuccessfully, I might add—so it's a wonder somebody up in a board room thought it would be a good idea to try again. Zachary Quinto's in it at least (of Star Trek reboot fame), but he's not even the assassin. Who green-lit this? Remember the series of mindless action flicks that managed to barely coast along thanks to the brute physicality and distinctly British charisma of Jason Statham? Well now that series is getting a reboot—without the only thing it had going for it—to see how much money can be made on the brand name alone. Admittedly, I'm not a huge follower of the Insidious franchise, but it seemed like the reason the first two worked was thanks to the dedication of director and horror fan extraordinaire James Wan (The Conjuring, Saw). So what does Chapter 3 do? Find a new director. 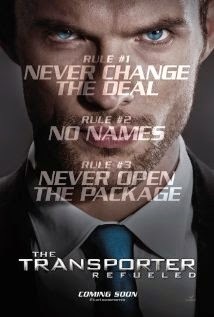 Sell the movie on its title. Turns out the first Hotel Transylvania made an incredible amount of money despite is generally agreed-upon mediocrity. As you might expect, children will drag their parents to see just about anything. In a similar vein of children controlling their parents, the Despicable Me franchise has been making enough money that the studio decided it was about time to pull the characters out of it and see if the comic relief could carry a movie on their own. As with many of these unoriginal re-creations, Magic Mike XXL takes the original film and tries to see if it will work again without the creative talent responsible for its inception (Steven Soderbergh). Channing, you said you didn't want to do sequels! And not to get sidetracked, but really, 23 Jump Street gets the green light? We thought those post-credits trailers were jokes, not pitches! It's no secret that general audiences are in love with young adult dystopian science fiction adaptations, and Hollywood has been responding by adapting every book in sight regardless of its artistic merit. So here you go people, this is what you get for paying to see the same old story over and over again. Somebody heard that the first Pitch Perfect had been developing quite a following after its already successful release 3 years ago. 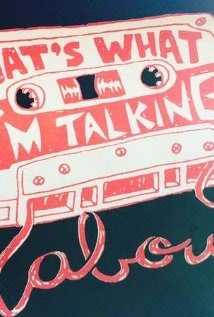 Somehow that somebody didn't also hear that part of what worked about it was its inclusion of Freshness and Originality. Time to kick those two losers out of the group! Speaking of barrel-scraping, you know whose image we haven't tried to ruin yet? Charles M. Schulz. Time to take another classic and give it the tried-and-not-true gimmicky 3D treatment. The first Ted was a surprise hit at the box office in 2012, so now it seems like it's about time to find out if the jokes will be just as funny the second time around. We all know how well that worked last year. We're slowly entering into the range of films which for one reason or another I have to admit to some excitement for. 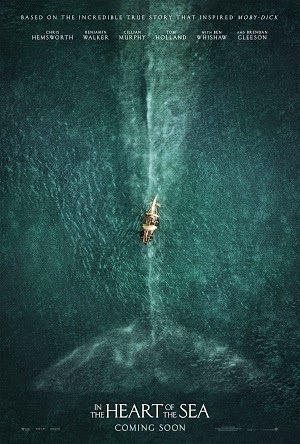 And with a cynical curmudgeon like me, maybe there is a chance these movies will turn out as good as they look. The choreography and orchestration of the action in the trailer for Mad Max frankly looks quite beautiful, but when you realize that this is being brought to us by a director who last three films were Happy Feet, Happy Feet Two, and Babe: Pig in the City, it's not so hard to imagine the film misfiring. I'm not exactly a fan of this series of films, but that's not because I think they're bad. 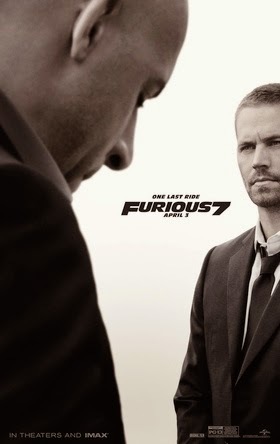 If anything, I've only heard good things: from their humble beginnings, they've been ramping up the stunts and generally trying to deliver as much action as possible without messing around with too much storytelling. But with a franchise based on the appeal of car chases and the escalating scale of its action scenes, you have to wonder when its inevitable implosion will arrive. Marvel has been pumping out content consistently for a few years now, and with the possible exceptions of Iron Man 2 and Thor: The Dark World most of it has been basically entertaining. But take an unknown franchise and exert enough pressure on it to alienate the director in charge (Edgar Wright officially dropped out after differences in artistic vision between himself and the infinitely more artistic studio executives), and it's looking more and more likely that we're poised to see another flop. The argument against splitting up books into multiple movies has been beaten to death already, but after the mere marginal success of Part 1 it's beginning to look like the droves of fans who came out to see Catching Fire have cooled off on the franchise by now. 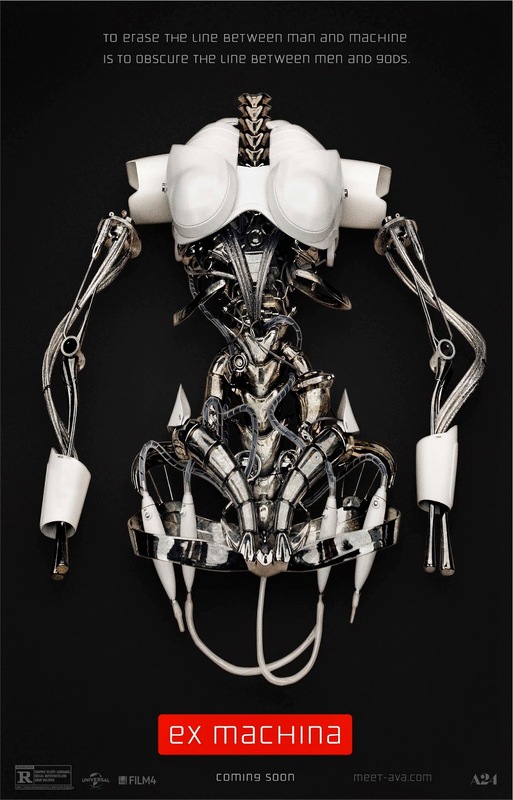 Terminator: Genisys is beginning to look more like a handbook on how to exterminate all original thought than an actual movie. It brings back Arnold, it brings back all the famous quotes, it even brings back some of the old special effects ("updated" with CGI, of course). The only thing this franchise will be terminating is its originality. Remember how bad the last Fantastic Four movie was? Good, neither does Marvel! Time for another one. 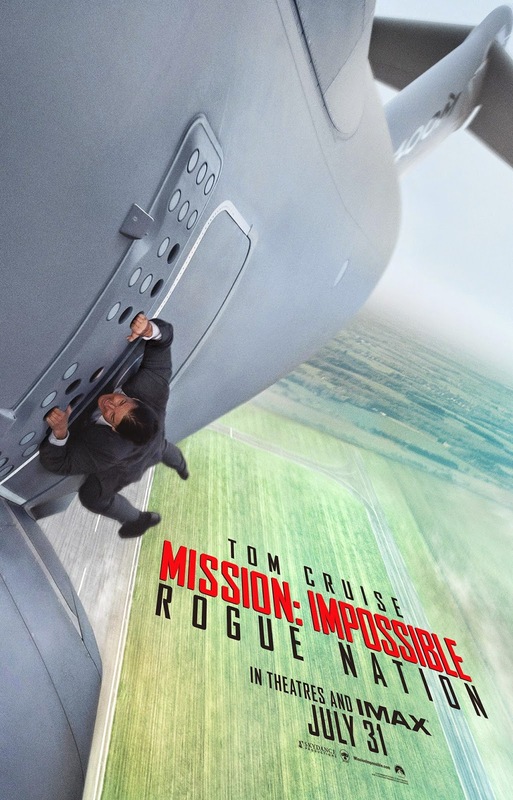 Mission: Impossible has been an interesting franchise because no two intallments have really been like any of the others that came before or after them. Brian De Palma began the series in his own way, John Woo put his spin on the sequel, J.J. Abrams gave his interpretation for the third, and then Brad Bird built on top of all this with his own material. Now Christopher McQuarrie (writer of The Usual Suspects and Edge of Tomorrow and director of Jack Reacher) has been brought on board to direct, and we're all hoping the success will continue, but at this point it will only take one misstep to tip this brand over into mediocrity. Universal Studios really hopes you don't remember The Lost World or Jurassic Park III, so much so that they're changing the brand name to Jurassic World rather than the less appealing—and much more revealing—Jurassic Park 4. "Trust us, it'll be different this time!" Yeah, you told us that before The Lost World. "But, Chris Pratt!" Yeah, we'll see. Also known as Bond 25, Spectre is the latest installment in a franchise known for being horribly inconsistent. Casino Royale was an amazing reboot for the series, but then Quantum of Solace was another painful disappointment. But who knows, they got Sam Mendes back this time, and Skyfall was pretty good, right? With the amount of money and effort Marvel has been pumping into its advertising campaign for Avengers 2 you'd have to be purposefully avoiding it to not have seen a trailer by now. But with so many eggs in one basket, and with such a large fanbase, will more of the same really be enough to satisfy audiences? To be honest, it's hard to cast the shadow of doubt on a studio that has been fairly reliable in producing content which is at least as enjoyable as it sets out to be. But with such an extensive schedule planned out into the future, it's easy to see one wrong step (see: Ant-Man) begin to threaten the rest of the structure. Alright, it is Star Wars, I'll grant you that. I'm as excited as the rest of the world. But remember the last time a new Star Wars movie came out? Yeah. We could get another Phantom Menace. I'm hopeful that with no creative involvement from Lucas and with the relative success of director J.J. Abrams's last reboot of a massive space adventure franchise we'll get something that's at least the fourth-best Star Wars movie to date, but when you swing with such a big bat sometimes even a moderate miss can be devastating. 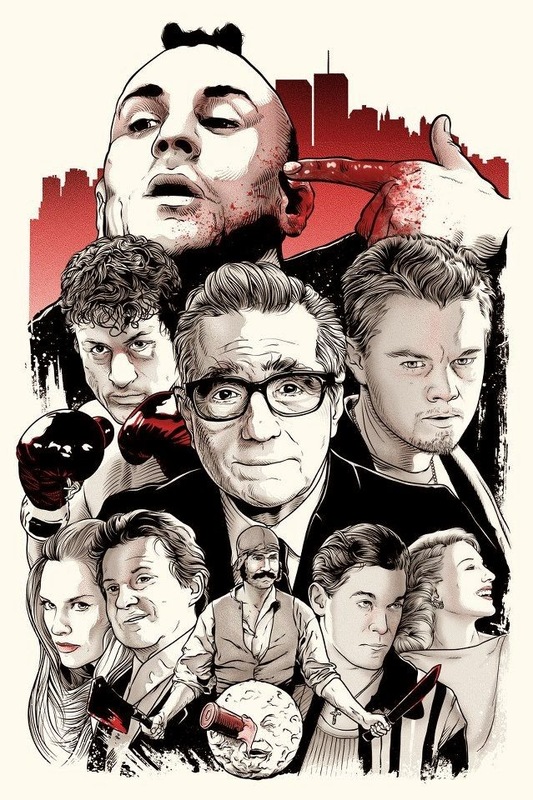 Interestingly, both well established directors (Scorsese is a long-time Hollywood giant responsible for enduring successes from Taxi Driver to Goodfellas; McQueen is a somewhat newer talent whose work was brought to mainstream attention when his film 12 Years a Slave won the Oscar for Best Picture in 2013) are currently working on TV movies. All across the business, from True Detective to House of Cards, we're seeing some of the strongest talent in cinema slowly migrating to television. Could it be that the success of endlessly recycled content (see above) is to blame? Synopsis: Spanish Conquistador Hernán Cortés leads an expedition to bring down the Aztec Empire during the 15th Century. Synopsis: A young man with a mysterious past makes his way into New York's high society. If just seeing his name hasn't caused to you close out of this article, let me just say that I know there's almost nobody left that thinks Shyamalan is any good at making movies anymore. But—and this is a big but—he is returning to directing his own writing (The Last Airbender and After Earth were both adaptations to various degrees). And even if it is another disaster, at the very least it'll give us something to talk about. I'm not the most adamant student of Oliver Stone's work, but even if he hasn't been the most consistent director in recent years he still has an incredible track record (Platoon is still one of the best war movies ever made) and he's always shown that he has a talent for political storytelling. 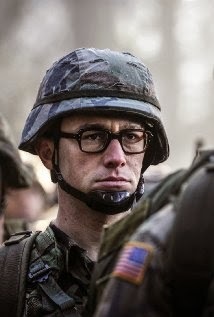 And with Snowden he'll be taking on some of the most politically relevant material of our time, so even if it's not as compelling as Citizenfour it will at least be developing and important dialogue. Synopsis: CIA employee Edward Snowden leaks thousands of classified documents to the press. Payne is a quiet director. His movies rarely make an appearance before they show up in theaters. And yet he hasn't made a bad movie in over two decades (and arguably hasn't made a bad movie ever), and he's been given 6 Oscar nominations and 2 wins for both writing and directing over his career. You might not hear about this one again until it comes out, but then you'll probably be hearing about it again around awards season. Synopsis: A judge in Dehli makes preparations for the women in his life as he approaches death. Michael Haneke is one of the greatest directors living and working today, and he's recently seen a good deal of success in the States with his previous film Amour. With the way he engages directly with emotional tragedies, his movies might not be the most entertaining options available, but they are incredibly rich, dense, complex experiences always worth your time. Synopsis: A story that track a group of people who come together via the Internet to stage a flashmob. Robert Zemeckis might have churned out a few duds in recent years (Beowulf? ), but it's impossible to entirely discount the man who brought us the timeless magic of Back to the Future. And from the look of 2012's Flight, it seems like he's back on the right track. 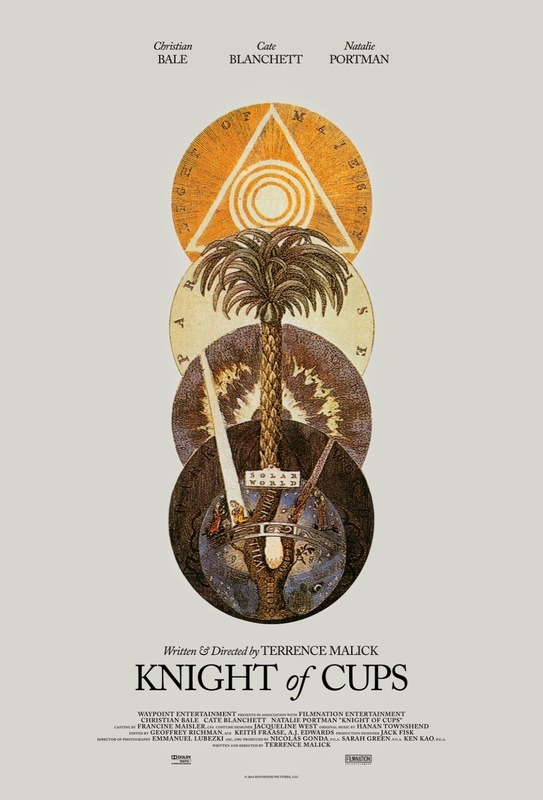 Cary Fukunaga is a bit of a newcomer to the world of feature-length cinema, but after directing all eight of the episodes in the first season of the massively successful True Detective TV series, he's quickly become one of the most exciting new directors in the business, and with his feature debut coming out this year he deserves all of our support. David O. Russell is on a serious winning streak, so unlike some of the smaller filmmakers like Fukunaga, he probably doesn't need your support. But with a cast of returning heavy hitters like Jennifer Lawrence, Bradley Cooper, and Robert De Niro, it's hard not to get excited for whatever this guy's got coming out next. Coming off an Oscar nomination and a great deal of critical acclaim for last year's Boyhood, there's obviously a lot of hype for Linklater's next project. I can't say I expect him to top himself yet again, but he's been perfecting his particular brand of sentimantal realism, and with as much talent as he has it's sure to be worth seeing. Synopsis: Plot undisclosed. Centers on the lives of baseball players on and off the field. Ridley Scott has an equal measure of fans and critics, but when he signs on to direct a science fiction adventure he didn't pen himself (personally I liked his Prometheus, but that doesn't stop me from seeing its flaws) we get the best of all worlds. Scott may not be the best director when it comes to creating content, but he has an eye for visuals unlike any other, and this promises to be a worthwhile sci-fi adventure. Ron Howard is an interesting director because unlike someone like David Fincher, he doesn't have a clearly discernable style. He consistently makes relatable human dramas, but their setting and characters vary as widely as astronauts in in modern classic Apollo 13 to race car drivers in the recent Rush. He may not know style, but he certainly knows substance, and I'll be looking forward to his take on this sea voyage. Speaking of the devil, not much is known yet about David Fincher's next project, but even for a film with a title that calls back to the director's only misfire (I can't be the only one who didn't like Benjamin Button), I'm excited for whatever it turns out to be. Fincher is a man with his finger on the pulse of modern America, and the way he confronts us with our darkest secrets keeps me coming back for more. Synopsis: A man's life begins to unravel after his hauntingly familiar nightmares draw him towards a woman he has never met. Brad Bird is a writer and director best known for his work with Pixar and The Simpsons, but in recent years he's taken to live-action filmmaking. Even the best filmmakers often have a few marks against them (even Ron Howard managed to churn out The Dilemma), so for a man who's never mistepped once bringing his talent to bear in both the writing and directing departments, you can bet I'll be there opening night. Science fiction is a genre which can be used for two things: special effects spectacles and contemporary political commentaries. 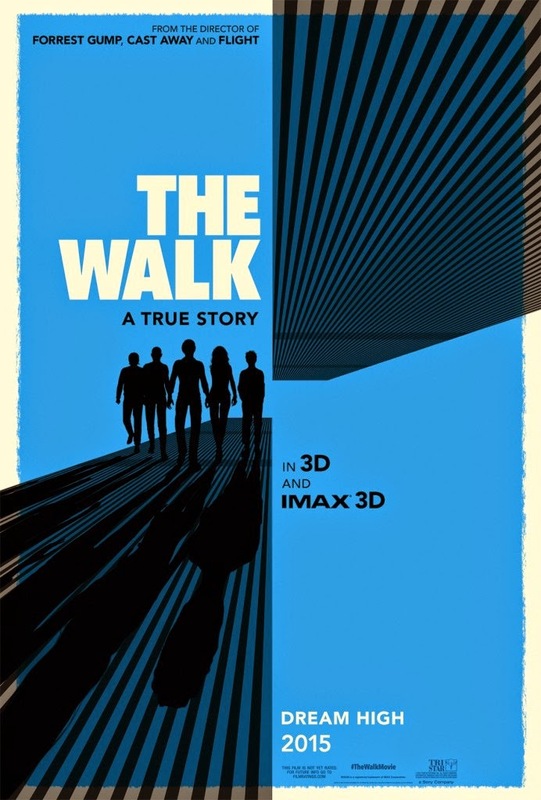 With the writer behind the underappreciated Sunshine and the exhilarating Dredd taking his first turn at directing a feature, this promises to be the best balance of both. Peter Doctor is a man without much brand-name recognition, but you're probably familiar with his work even if you don't know it. He's the writer of Wall-E and the director of Up, and now he's returning for his next feature with Pixar to make something which looks like it will finally break the studio's losing streak. Fingers crossed, but this one looks like it will be a proper return to form. 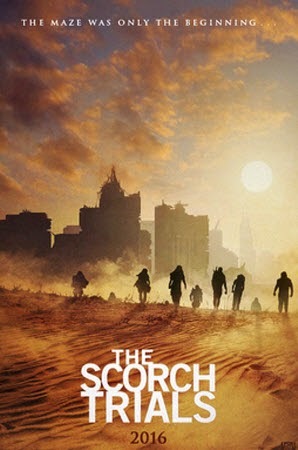 Synopsis: After a girl moves to a new home, her emotions are plunged into chaos as they compete for control of her mind. Whether you love him or hate him, nobody can deny that Quentin Tarantino will always make one of the most interesting movies of the year. 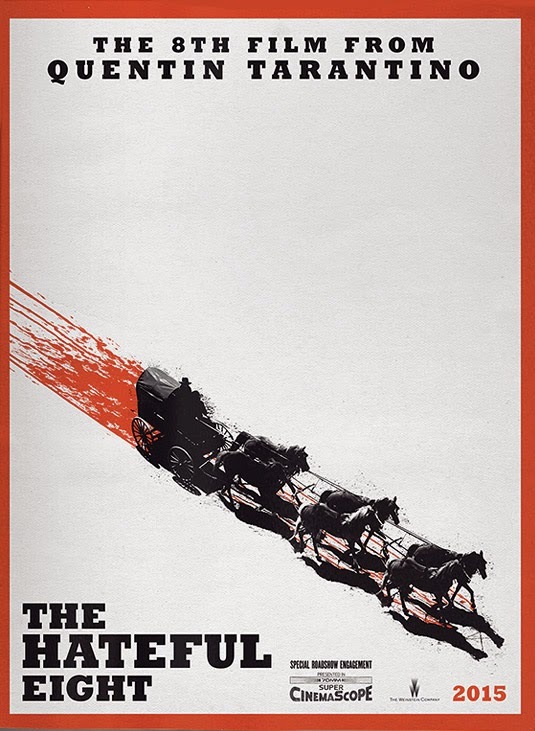 The script for The Hateful Eight may have been leaked online, but that wasn't enough to stop Tarantino from breaking full-on into the western genre after hinting at it with 2012's Django Unchained. Whether it'll be one of the year's best or not, it'll certainly be one of the year's most talked about. Steven Spielberg is a director I grew up with and one everybody knows at this point, whether it's for creating the modern blockbuster with Jaws or bringing it into the modern era with Jurassic Park. With Bridge of Spies he'll be returning to the Cold War, but with a plot about an American trapped in Russia it promises to comment on issues which are painfully contemporary. 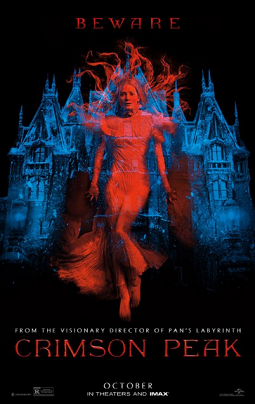 Crimson Peak is a film Guillermo del Toro wrote after making Pan's Labyrinth (one of my all-time favorites), and with the colorful sensibilities he displayed on Pacific Rim I'm ready to see him return to the horror genre. It will be difficult to give up seeing Bridge of Spies opening night to see this (why would they schedule these two for the same day? ), but that's exactly what I'll be doing. After being blown away first by Villeneuve's modern noir-mystery Prisoners and then by the Lynchian madness of his psychological thriller Enemy, I'm ready to go out and see whatever this powerful director wants to do next. The fact that he's making a vehicle for Emily Blunt to be an FBI agent only sweetens the deal. Synopsis: A young female FBI agent joins a secret CIA operation to take down a Mexican cartel boss, a job that ends up pushing her ethical and moral values to the limit. Terrence Malick may be a divisive director, but there's really something to be said for the fact that even his least popular films are unlike anything else. I am an unrestrained Malick fanboy, but even detractors have to admit that even if they don't like what he does, as least he's doing something unique and original, which is more than you can say for the majority of the American film industry.